'SNL' Songs to be Released on Vinyl, But Which Parody Singles Were the Best? "Around the biz, it’s well known that most celebrities have quirky little fetishes: Kristen Stewart and her armpit licking, Richard Gere and his gerbils, Heather Mills and her stump. 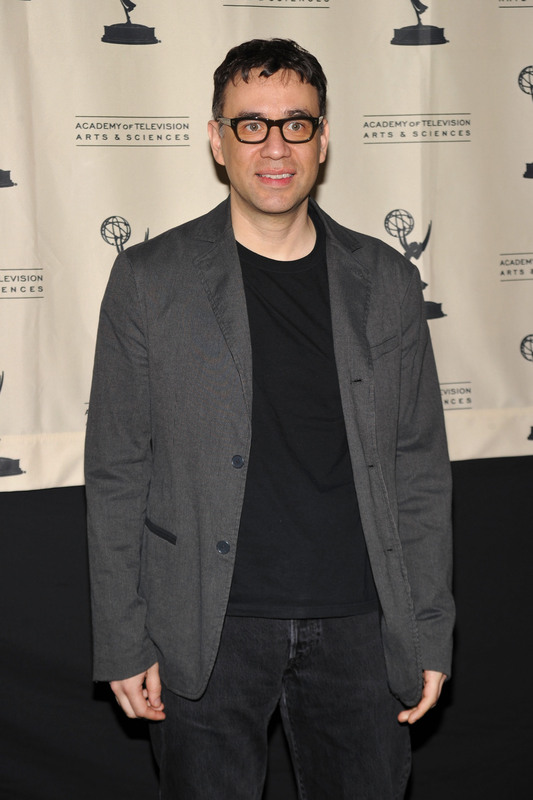 Then there’s Fred Armisen, who gets his kicks with ear play – by listening to obscure records, of course! Fred’s got an immaculately curated collection of them, one we felt should naturally be shared with others. So with great pleasure, we introduce a new 7″ single series dedicated to regional music stars of decades past, artists who share the common experience of hitting the big time, at a purely local level: Hometown Heroes. The first in this series is a split featuring two distinctly different artists. The Blue Jean Committee were the proud products of the late 70′s Northampton, Massachusetts music scene. Comprised of some of the most sought after local session musicians, the group was most defined by Richie Cornish’s busy talk-singing lyrical style. The gently soulful “Massachusetts Afternoon” celebrates the time in one's life when independence, friendships, and the autumn sunset seem to go on forever. On the flip, from Bath, England, come The Fingerlings, a prolific synth/post-disco band who released twelve EPs between 1981 and 1983. Typically, a group such as this would have been formed at an art college, and The Fingerlings were no different. Their aesthetically meticulous nature earned them a reputation for creating some of the most elaborate and expensive 12″ EP covers ever to be produced in the UK. “Embrace Me” is the jam, a huge local hit, its lyrics evoking imagery of neon framed cities like Paris and Berlin." But these aren't the only Saturday Night Live "bands" that didn't get the love they deserve. Here's some other musical sketches that should be put on vinyl. Armisen's take on '70s punk bands was both hilarious and astoundingly realistic. And in terms of SNL bands, they were actually pretty good as a band. One of the weirder, meandering musical sketches of SNL. If they put out a record, at least we would finally have the answer to whether or not the woman actually received a bottle of sparkling apple juice. But for now, all we have is this terribly shot cell phone video. '90s R&B, Maya Rudolph and Ana Gasteyer, an out-there parody of Destiny's Child... what more can you want? Only the actual Destiny's Child acting as the former members of the band, except oh wait, that happens too. The world clearly needs a Gemini's Twin and Destiny's Child collaboration.